I can't wait to show you these... I *just* finished editing the pictures. They're soooo cooooooool!!! So, I was in Sally renewing my beauty club card and also checking to see if there were any new releases when I spotted these in the far corner of the store. You know the one, with all the nail tips and fake fingers and disembodied featureless heads? Where no one ever looks? Yeah! These were there. They came in three or four styles, the display was a bit of a mess so it was hard to tell how many there were. 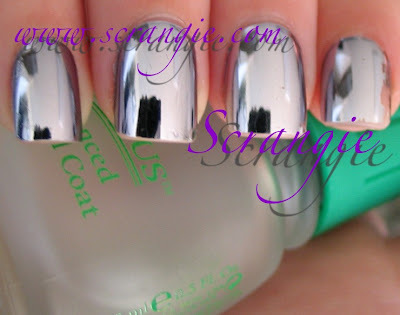 Super shiny... Nail Bliss Metallic Press-On Nails, style number seems to be 158800- no other identifying markings? They are beveled... textured... what do you call this style? I know there's a name for it but I can't remember what. They do it to metal jewelry to make it more shiny or something like that. Each set comes with 24 nails- not enough, really. Mostly large thumbnail/toenail sized nails and very few small enough for my hands. One thing to note- these do not come with glue. They come with adhesive tabs and if you want to wear these for more than a few hours you'll need to supply your own glue. I used a bottle of Revlon NailStay nail glue I had floating around in my junk drawer. I got a bit of glue on the pinkie and I scratched the other slightly while filing... oops. You can see some of the downsides of these nails in this picture. One, they're thick. Two, they're so flat they don't conform to the shape of your nail bed leaving you with a gap at the fingertip where dirt and bacteria can get trapped. And three, the shiny surface isn't that durable. You can see that they look a little wide and flat and not quite real compared to my natural nails. 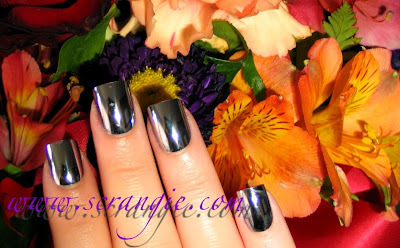 Flash brings out the darker base color of these chrome nails. It's not a pure light silver, it looks a bit like marcasite. I wore them for five days. Truthfully, I couldn't stand having them on my fingers after the first two hours, but they looked so amazing I didn't want to take them off for a month! Fake nails feel weird. They're too blunt, you can't scratch with them. This is with five days of wear. Note the index finger- a stripe of the chrome finish has worn off entirely! Partially due to a filing accident, partially because of wear. There's a bit of tipwear and quite a few scratches. They still looked good enough at arm's length for me to keep them on, but I just had to take them off! Despite the package claims they are NOT thin and flexible or best fitting, but damn, do they ever look cool. Removal is easy if you get one of those scrubby-bristle acetone jars from Target. One thing to note- the chrome won't dissolve. You have to file off the shininess to remove the nails. Anyone who has been wanting to try Minx but can't find a salon who does it may be interested in trying these. A lot less expensive and you can do it at home. I'd totally wear these again. I loved them so much I think I could wear them for the rest of my life and not get tired of it. The mirror finish is just SO AMAZING. I couldn't stop looking at my hands. Neither could anyone else- everyone who saw my nails commented in amazement. If you're looking for compliments, these will do the trick. 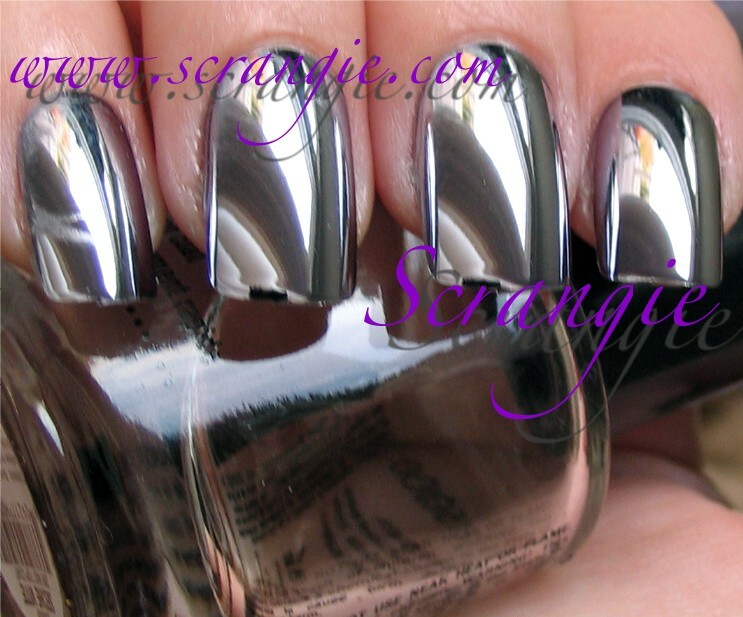 Seriously, I was so infatuated with these that I was thinking of ways to have metal permanently fused to my nails. Those are awesome! and the textured ones???? ::::dies:::: I must have these!!! Whoa, it looks freakin' amazing! It's amazing, but I bet I would be too distracted by my nails to do anything. I very like the effect they do! But I guess I'm not enough "skilled"to be able to put them so perfectly..not no mention I'm almost sure I can't find them in Italy! thats pretty cool :) too bad about the wear and fitting/size. I can't wait to see how the other pair looks! Woah. Those are crazy looking..I can't decide if I like them or not, but you make them look super cool! 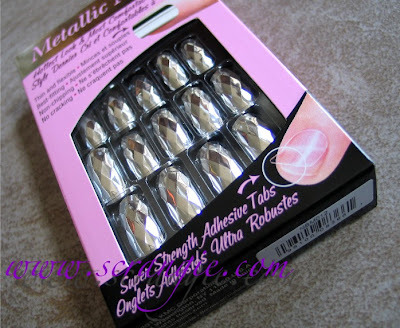 Before I was able to grow my nails I always wore nails like these, I loved them! I would buy the white ones that you paint yourself stick them on chopsticks and go crazy on the designs since I could let them out to dry for as long as I wanted before gluing them on. I miss wearing plastic nails. "They are beveled... textured... what do you call this style?" I saw these at my sally's last night. Did you see the ones with the etched like designs? I thought those were cute. Those look great! And the ones with the texture...jawdropping!!! Can't wait to see your review of those. 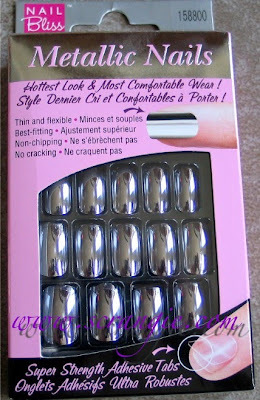 I'm so envyous of all the amazing nail-stuff you have in America, Holland is way behind in that area. It looks great! To bad of the scratches. Holy crap, the textured ones are freaking amazing! So sci-fi looking! Love them. I don't know if I could stand them on me. Can't wait to see the faceted nails. Plus you can paint over them! Wow! Cool! I want to see the faceted nails. They look awesome. LOVE. Love. Totally getting some of these next trip to Sally's and gonna wear them on a regular day to work and see if anyone notices. If nothing else it'll sure make my day brighter! So you left them on for five days,with the self adhesive tabs? I didn't know the self-adhesive tabs could last that long, or did you use your own glue instead? I want to try them! I think the textured ones called diamond cut? But I could be wrong. These are fabulous! :)) The only thing I don't like is the removal. I saw these at sally's too, I absolutely hate wearing fake nails, but I'm definitely gonna have to go get them anyway. When it comes to jewelry, that faceting is called 'checkerboard faceting.' These are awesome! I saw a lady at the mall with those on and she said she loved them and that they stay very well! and the look really cool!! Ooh, awesome! 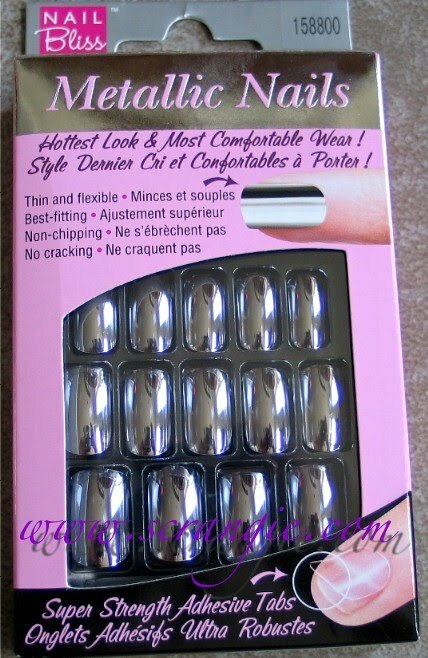 So much cheaper than Minx and it seems like they would last longer, too! OMG I have on these nails right now. I used a different brand though. I used Broadway Nails, which has a curve in the nail so it would solve one of your cons at least. I never use glue on nails either, but I had to get these and now I can't bring myself to take them off. I've gotten so many compliments on these it's insane. I do wanna try Minx, but I don't want to pay for it. You can see the nail set I used on my blog if you're interested. It’s the second most recent. I m looking for a nails polish colour like this, can someone please tell me where I can get it?